The largest single base construction was built onto the golf course of a country club in Exeter, Devon. Construction for the depot began on Oct 11, 1943 which 578 000 sq feet of covered storage most of which provided by 40 x 100 feet Quonset-huts, personnel quarters for 1 000 men and office facilities provided by standard sized Quonset-hut, and 7 miles of roadway to serve the base were built. 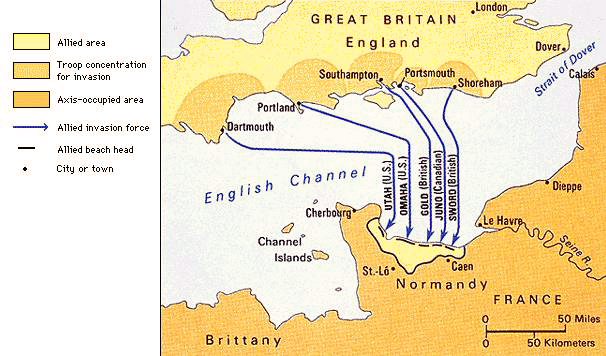 Other principal locations along the English Channel for the amphibious base include Falmouth, Fowey, Plymouth, Salcombe, Dartmouth, and Teignmouth. Existing houses and hotels in these locations provided housing for soldiers, however they were limited and new forms of housing needed to be built. These housing usually consisted of Quonset hut, or similar huts of British design – Nissen Huts, and tents. In Plymouth and Milford are two major hospitals provided entirely of Quonset Huts with the capacity to hold 500 beds and 200 beds respectively. Because the Seabees were so essential to the Invasion of Normandy, an establishment of Seabee base of operations near the English Channel would bring the Seabees closer to action. This base of operations was established on March 1944 at Heathfield , Devon. For the first month, the 81st Battalion worked on the camp before construction was turned over to the 29th Battalion in late April. When complete, the camp provided housing for 1000 men, a third of which be in the form of Quonset Huts and the remainder where tents. Storage, repair facilities for construction and transport were also provided through larger versions of Quonset Huts. 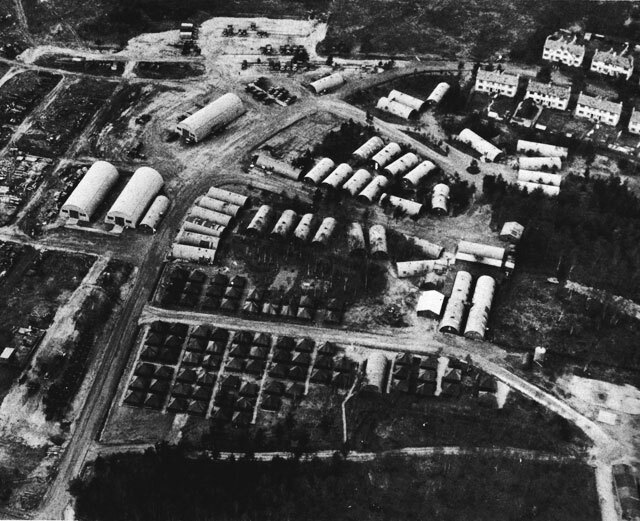 Open storage area, left and upper left; large single quonset hut, transportation department's garage; small huts, offices and personnel quarters; two double huts (right foreground), messhall and recreation huts; tents used for temporarily housing transient Seabees.